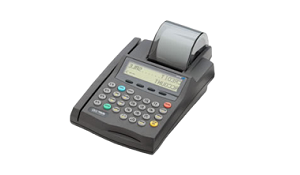 The Nurit 2085 is a reliable, low cost terminal, that includes a thermal printer and will accept multiple merchant accounts through a single terminal. It is an exceptionally user friendly and very fast credit card machine and the high speed built in thermal printer eliminates the need for ribbon. The Nurit 2085 is a high performance affordable credit card machine. It is highly recommended for all retail merchants due to its low price, very high reliability, ease of use, and its advanced features. The NURIT 2085 has an integrated POS terminal with a high-performance, quiet printer. Low cost and ease of use makes this compact terminal the optimal countertop solution for small and medium size retail businesses.